RV stabilizer jacks are instruments that help keep your RV level and free of movement while parked. W If you’re wondering how to use these contraptions at the campsite? We’ve got you covered with this basic guide for RV owners. Try to find the levelest area, to begin with. Place leveling blocks and locking chocks in place. Pull out your stabilizer jacks to give your rig the additional support it needs. 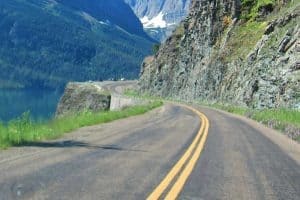 There are a lot more details we need to dive into regarding the RV stabilizers like how to purchase them, how to use them, the most common types of stabilizers, and how to maintain them. Let us dissect each part piece by piece in the post below. When purchasing an RV stabilizer, you need to ensure that you get a product that works well with your rig. 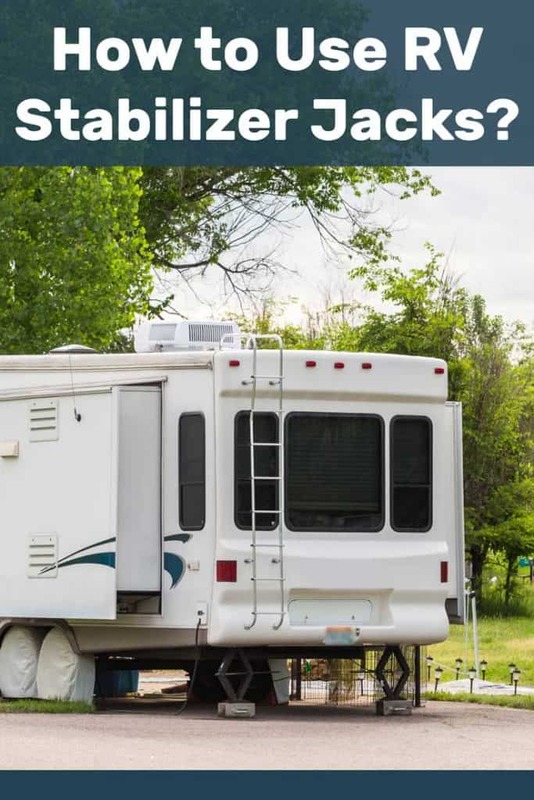 Buying the wrong stabilizer will eventually cause damage to your RV, your jack could eventually break, and you will end up trying to stabilize your RV using a jack that is out of order. 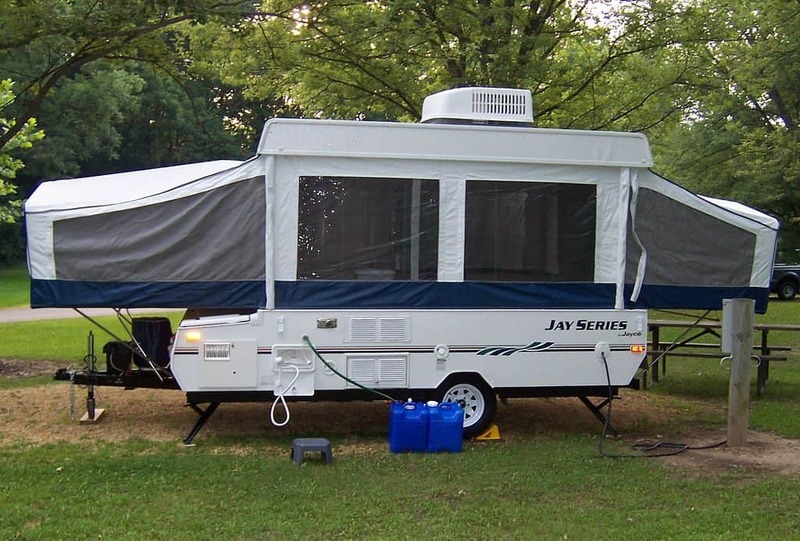 When purchasing a jack, you need to carry with you the essential details about your specific RV, especially details about the dimensions, weight, and height. To make it easier, work with a local RV dealer to select the right jack that can keep your RV levelled. The best thing you can do is that when you are purchasing an RV, purchase a stabilizer on the spot. This should allow you to match the stabilizer to the rig. You might even end up saving money when you purchase both the stabilizer and the trailer. As you also purchase the jack, ensure that you get a quality product, cheap jacks will work well for some time, but in the long run, they will cause more damage. Although saving money is almost synonymous to RV lifestyles, do not compromise when it comes to stabilizers. Look for a product that has warranties, reviews, and testimonials to ensure that your product will serve you for a long time. It is important to know how to operate a stabilizer, a levelling block, or a jack. Take time to read the RV and stabilizer manual so as to know where to position the stabilizer and how they can work well together. Before you place your RV stabilizers, you have to ensure that the preliminary steps are well taken care of. Firstly, ensure that your RV is well parked. You can use a pair of wheel chocks to keep the RV in place. Next, level the trailer. The work of the stabilizer is not to lift the heavy RV and level it off, it is meant to hold the trailer in position once it is lifted. One popular mistake that most RV enthusiasts make is the use of very large blocks under the stabilizers. It is important to place the block if your RV is parked on either an uneven ground or a soft ground. But in some cases, large blocks can compromise the integrity of the stabilizers. Avoid under or overextending your stabilizer at any instance. These two terms seem similar, but stabilizing and levelling an RV are different. Levelling is the aspect where the RV is lifted; each tire is raised to obtain a safe and comfortable level where the RV fridge can operate. On the other hand, stabilizing eliminates the swaying and bouncing of the RV after it has been levelled. 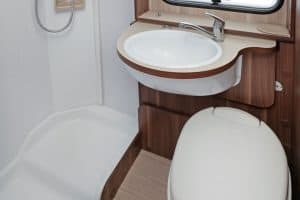 Towable RV’s like the fifth wheels, campers, and travel trailer tend to have few points where they contact the surface you are stabilizing to prevent any sways when the RV is parked. The most likely candidate to use stabilizers are the fifth wheels, because of how the weight is placed on the body of the fifth wheels, but you can also use them in other trailers. Stabilizers are more likely to be used in lighter RV’s. A heavy trailer or RV will stabilize itself on the ground using its weight, but a lighter trailer is disadvantaged, meaning that movements inside the trailer will make them shift from side to side. Lighter coaches like motorhomes of Class B or C are great candidates for using stabilizers. It is important to have a stable and levelled RV if you own an absorption refrigerator because these fridges always have to be at a level. If you risk destabilizing their level, they will incur irreparable damage, and you don’t want to start sourcing for a new fridge. Before you buy an RV, ensure that you know the type of refrigerator you have so that you are aware of the necessary precautions you need to take when levelling once you park. Always keep the springs clean and well attached. In case the springs seem to be stretching, replace them. 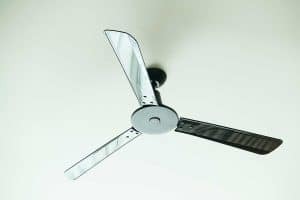 In case a stabilizer bleeds down during an extension, there might be a leak or another concern that requires immediate attention. You need to place stabilizers on fairly flat and stable surfaces once the ram is extended. In case of an unstable contact or sloping surface, slipping could occur, or the load will lean on one side of the stabilizer. When you extend the stabilizers, check your manual to know how each stabilizer needs to be extended. When you use the wrong sequence to extend the stabilizer, a lot of unnecessary strain and stress will be directed to the chassis, windshield, and openings of the slide room. It is easy to get cracks and pop outs on windshields, as well as sidewall cracks as a result of this mistake. The cracks will start from the slide room corner openings. Good stabilizers come with buzzers and lights to show when a stabilizer is on the wrong level. In case one of the buzzers or lights are not working, ensure you diagnose and fix the problem. They have a simple design to give your trailer solid foundation on a surface. They work well with levelling jacks on 5th wheels, travel trailers, pop-ups, and motorhomes, or they can also be used independently. An RV looks solidly ground when there are two rear and front stabilizers or two that are placed on both sides. Easy to set up in minutes without the use of any tools. This makes it easier for them to store because they are easy to fold. They use 2 heavy-gauge steel tubes that expand to form a box-truss. A cross brace stabilizer that has wheel chocks is used to eliminate any swaying of the trailer. The cross brace also folds up together with the scissor jacks to remain suspended when the trailer is on transit. Once you complete a long trip, setting up a manual scissor jack can be a tiresome exercise. If you have a taller RV, it is even strenuous because the standard manual stabilizers are still of the standard height. When you extend manual jacks to their full height, they tend to be practically useless. But when you look at power stabilizers, bolting them on a frame provides you with a chance to extend them quickly just by pressing a switch which allows you to easily prevent swaying or rocking of the trailer at your campsite. You can now easily camp anywhere since you now know how to use the stabilizers. In case you want to upgrade to a power stabilizer, you know all about its advantages and what to look out for. But you can also get a great camping experience when using the standard RV stabilizers. Next PostHow Do RV Leveling Blocks Work?